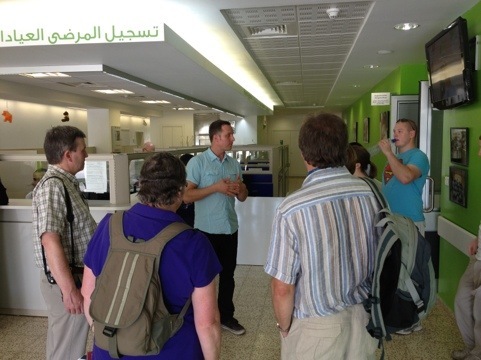 Nonetheless, this morning we were able to get to Qaser al Yahud just as it opened. 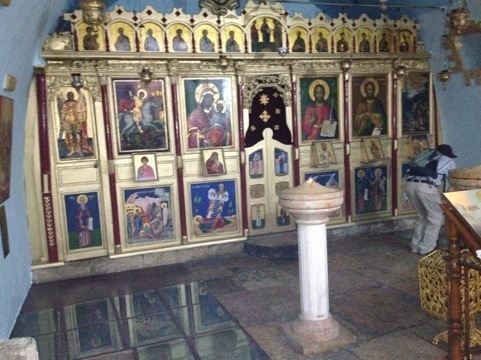 It is a very simple holy site, a Greek Orthodox monastery, a tomb like structure, an altar and steps down to the River Jordan. The river is the border between Israel/Palestine and Jordan, the river is not wide here and I had never been this close before. I could almost reach out and touch Jordanian land – a competent olympic long jumper would have had no trouble in getting to the other side Also interesting was the number of holy sites on the Jordanian side. 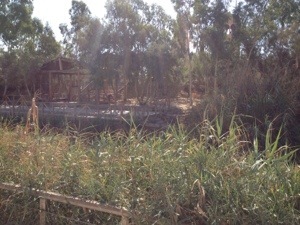 The Jordanian royal family is allowing a number of sites to be constructed along the bank of the river for pilgrims. 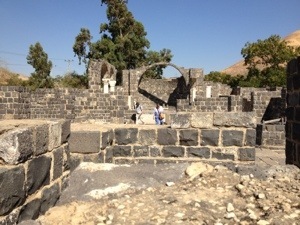 But back to the Jericho site… there was a shop, of course, but only a small one and the site is nothing like as commercialised as the one at Yardenit near Tiberias. It was the first time that either Brian or I had visited this site (ergo anyone else in the group!) and I think it is one which I will try to include on future itineraries, despite the warnings not to stray from the marked paths as the ground has been land-mined. But time waits for no-one, and we didn’t want to linger too long in the heat, so we were soon on the bus for the 75 Kilometre drive up the rift valley to our next stop: Beat She’an. We had no real problem at the checkpoint leaving the West Bank – mostly because Luay told the soldiers we had come from Jerusalem. Had we said we had come from Jericho, our passage might not have been so easy. 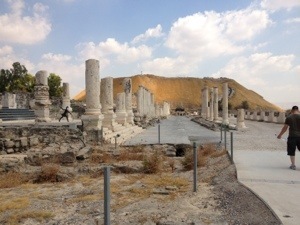 One of my favourite archaeological sites in the Holy Land (therefore the group were going to visit whether they wanted to or not) the extensive excavations at Beat She’an reveal a complete Roman town with bath house, forum, wide avenues and the obligatory amphitheatre with vomitoria. In the Roman period it was the most important of the 10 cities, the Decapolis, and the only one on the west bank of the Jordan River. In the heat, nobody was going to climb the hill to the roman fort which overlooks the town but, at least there was an opportunity for a quick viewing – and an ice cream, of course. I don’t sweat much for a fat lad but Beat She’an is always guaranteed to soak my shirt. Still, better to perspire than to expire which, apart from staying on the bus is the only other option. And so onwards, to Bet Gabriel on the southern shore of Lake Galillee where we were going to stop for lunch and a walk along the shore. An art and cultural centre for peace built in the early 1990s the centre incorporates a cinema and art galleries along with lecture theatres and a restaurant with a view north towards the Sea of Galilee (Lake Tiberias, Lake Kinneret, Lake Gennesaret, Syrian Sea – take your pick!) It was also where Shimon Peres and King Hussein of Jordan signed the historic peace treaty between Israel and Jordan in 1996. 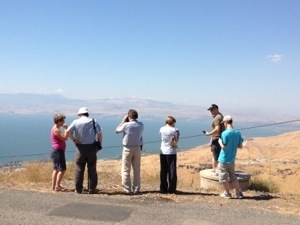 Up to the top of the Golan Heights, via a winding road that had the bus (but thankfully not Loay) protesting to kibbutz of Kefar Haruv to get a view of the lake from on high before plunging (metaphorically) down, past Ne’ot Golan, to Kursi. There’s a Byzantine monastery at Kursi. When Jesus ‘crossed to the other side of the lake’ it was to Kursi he came (called ‘Gergesa’ in the New Testament) and cast demons (‘we are legion’) into a herd of swine before driving them over a cliff into the lake. Almost a lie in this morning as we didn’t have to leave until 9:30 although the air conditioning breaking in our bedroom had meant that I hadn’t had the most restful of nights…. Loay (pronounced ‘Lou-eye’) was able to drop us quite close to the Christmas Lutheran Church where we attended the morning, Arabic, service. Being early, we took the opportunity to visit a money changer and a bit of haggling by Lizzie got a rate with which those who needed to change money were happy. The Lutheran church in Bethlehem is the oldest Protestant church in the Holy Land and it was good to meet Tony (Deputy Head teacher of the school we visited on Day 2) again – he is an Elder of the church. The service had been printed in English, with phonetic spelling of the Arabic responses and hymns so we could join in if we wanted to. Lizzie and I were delighted that one of the hymns was one which we knew from Youth4Hope camps. Brian had, quite rightly, decided to ‘collar-up’ for the service so none of us felt a great deal of sympathy when he was, in turn, collared to assist in the leading of the service. The boy done good. After coffee following the service we wandered down to Manger Square for some lunch at the Square Restaurant and to say ‘Goodbye and Thank You’ to Jack Giacaman who had so kindly been our guide, host and taxi driver over the last 2 days. Leaving the church, we took the bus the short distance to the separation wall – we had been on the other side of the wall at Abu Dis but knew that, although we were only 50 yards from where we had stood 2 days ago, that 50 yards had now stretched to a 15 kilometre journey. 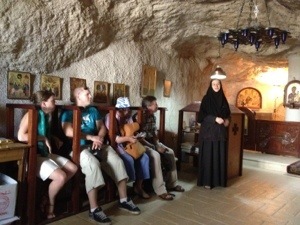 We next stopped at the Bethany Community of the Resurrection of Christ – a Russian Ecclesiastical Mission (and a project of the Convent of Mary Magdalene on the Mount of Olives in Jerusalem) There we met with Sr. Martha – the Head Teacher of the school offered by the community to local children, some of whom, from families with particular problems, are boarders. I think we could have listened to her all day but she, and we, had places to go. We left her, all smiling at the memory of meeting such a remarkable young woman but were brought back to earth as we took a short detour to visit Ma’ale Adummin (an Israeli settlement on the West Bank) and were able to see for ourselves the inequalities and iniquities caused by the settlements as the poor roads, little water and run down housing of Bethany gave way to lush avenues, green spaces and plush housing units of the settlement just over the road. 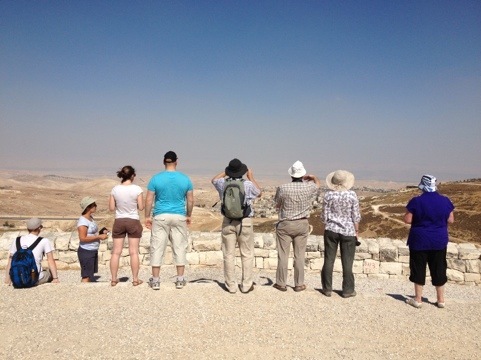 Heading down to Jericho, the group experienced the incredible heat as we stopped to view St George’s Monastery in Wadi Qelt before moving on to Tel Jericho – the oldest city in the world, so the claim goes. 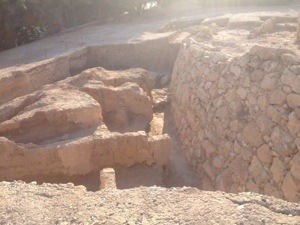 A look at the excavations, followed by an ice cream was the prelude to our arrival at the air conditioned comfort of the Jericho Resort Hotel, complete with swimming pool… A feature that might well be visited after dinner! A small, but eminently select group left a damp and cool Manchester airport on Thursday 23rd August for a visit to the Holy Land. I am co-leading the trip with Brian Jolly (Altrincham United Reformed Church). For some it was a return visit but, for most, it was their first experience of the land in which our faith was made flesh and lived amongst us. With no delays to the flight we arrived in Ben Gurion airport to be met by our old friend Khalil Abdinnour and our driver, Loay. Arriving at our hotel in Bethlehem an hour later (the creatively entitled Bethlehem Hotel) our rooms were allocated and we had a late dinner before heading out for a walk up to Manger Square to meet with Jack Giacaman, an olive wood carver who has been a friend of Brian’s and mine for many years. 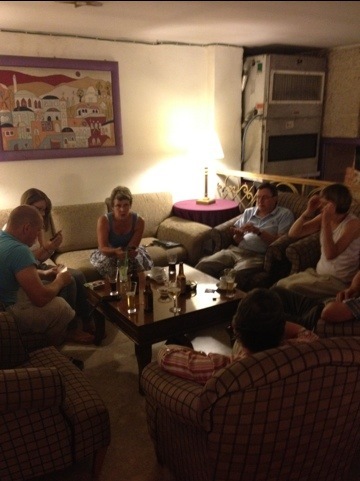 We shared a drink in the Square Cafe before Jack shuttled us back to the hotel. 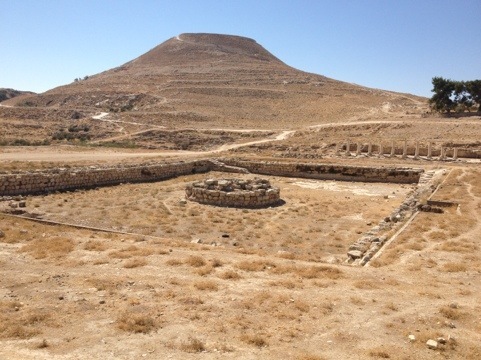 An early start meant that we could get to Heridion before the sun got too hot for the steep climb to the top of Herod’s summer palace between Bethlehem and Hebron. One small problem was that the lift got stuck on the way down to breakfast. I’m not at my best in enclosed spaces and, as Brian, Kath and I got on at the top floor, it wasn’t US that overloaded the lift. I reckon it was the 2 French women who got on at the 6th floor (I don’t actually know if they were French, but I’ll blame the French anyway!) Thankfully, Brian presses the alarm button and the lift started moving before I succumbed to total panic! Leaving Herodion we first visited the Greek Orthodox site which commemorates the angels appearing to the shepherds to announce the birth of Jesus. 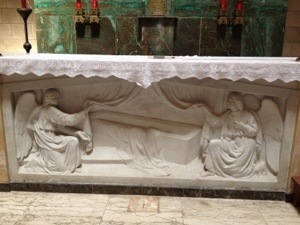 We then moved onto the Franciscan site which commemorates the same event and includes the Chapel of the Angel – the first of many Antonio Barluzzi churches we will visit over the ensuing 11 days. Lunch was at the Tent, a restaurant stylised like a Bedouin tent, before heading up towards the main checkpoint gate to visit the Caritas Baby Hospital. This hospital, established in 1952 by a Swiss pastor, provides the only specialist paediatric care in the whole of the West Bank. Costing $10,000,000 a year to operate, 93% of its funding comes from donations. 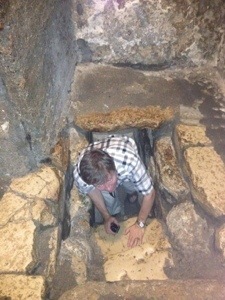 We took the opportunity to see, up close the section of the ‘separation wall’ which encloses Rachel’s tomb. We then passed through the gate to get views of Jerusalem Old City from the Haas Promenade, Mt Scopus and the Mount of Olives. 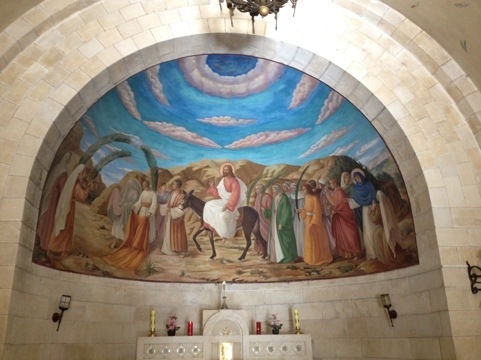 Heading away from Jerusalem, down the other side of the Mount of Olives we stopped off at Bethphage – from where Jesus began his triumphant entry into Jerusalem on a donkey on Palm Sunday. Carrying on, as if we were going to Bethlehem before the barrier was built, we came to Abu Dis; a town completely bisected between Jerusalem and the West Bank. We could see the way the wall cut straight across what once was the main route from Jerusalem to Jericho The journey now is much, much longer. A visit to the Holy Land provides opportunities and experiences that, as well as lasting a lifetime, can develop your understanding of faith. Revd. 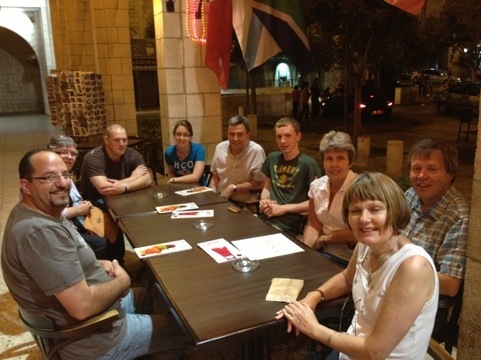 Brian Jolly (Altrincham United Reformed Church) and Leo Roberts (CYDO) are leading a small group (20 members) on a 12-day visit to the Holy Land from 23rd August 2012 to 3rd September 2012. Places are strictly limited and will be allocated on a ‘first come; first served’ basis. 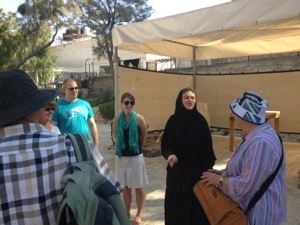 We will not only be visiting the Gospel sites (starting in Bethlehem, visiting Nazareth, then Galilee before spending time in jerusalem) but will also have the opportunity to meet with members of local faith communities – Christian, Muslim and Jewish. Hearing their stories and learning a little of their lives will inform us about the Holy Land and help us to begin to understand what it means to live in the Holy Land today. The cost of the trip, including flights, accommodation (twin rooms, en-suite) on a half-board basis) and all internal transport is £1375. Meet at Manchester Airport 0700, departing on flight LS907 at 10.00.
at 17.15. Transfer to Bethlehem. 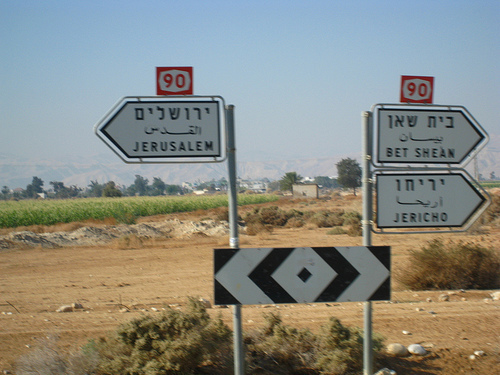 Today we travel around Bethlehem and Jerusalem to get our bearings. 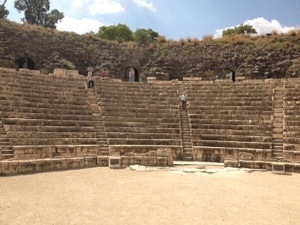 In the morning we travel east from Bethlehem into the desert to Herodion, the summer palace and burial place of King Herod. 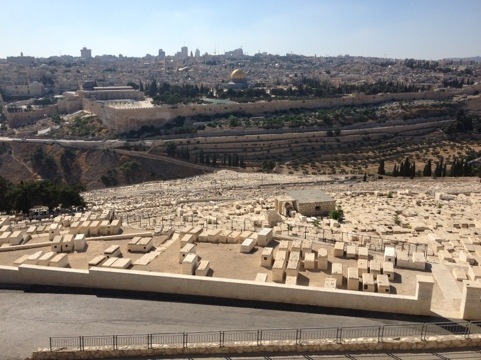 Later we travel a short distance to the north to circle the Old City of Jerusalem, stopping for lunch and spectacular views from Mount Scopus and the Mount of Olives (to the east), and the Haas Promenade (to the south). This morning we visit Dheisheh Refugee Camp, to hear from residents about the history of the camp and life today. Later we view the Separation Barrier and hear from other residents of Bethlehem about living under occupation. 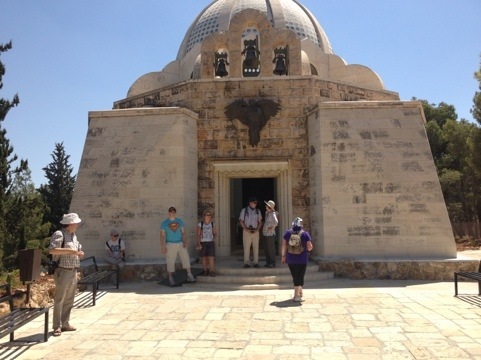 After lunch we visit the Shepherd’s Fields in the village of Beit Sahour, to the east of Jerusalem Bethlehem, before walking through Bethlehem Old City to the Church of the Nativity. Today includes a meeting with Jack Giacaman and his family, and a visit to their olive wood factory & shop. 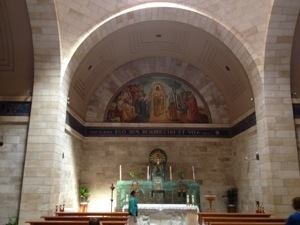 We join the Lutheran congregation at Bethlehem Christmas Church for morning worship, and afterwards visit the Lutheran International Centre of Bethlehem. In the afternoon we transfer from Bethlehem to the desert oasis of Jericho, situated at the lowest point on the earth’s surface. 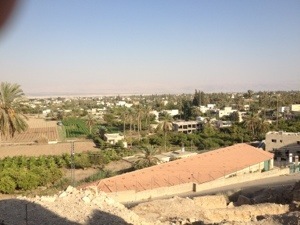 We visit Tel Jericho and view the hills of Jordan to the east, before arriving at Jericho Resort Hotel. An early morning start to drive south along the western shore of the Dead Sea to Masada, King Herod’s Winter Palace. 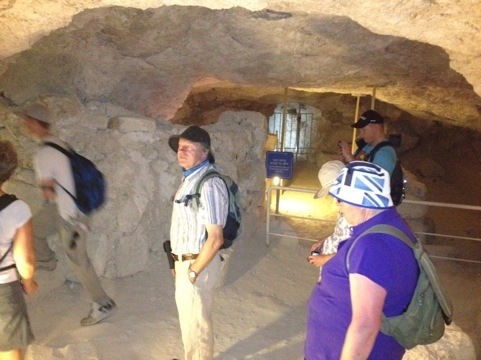 After an audio-visual presentation explaining the history of Masada, we ascend the mountain by cable car to tour the archaeological excavations and enjoy spectacular views of the Dead Sea. Late morning and early afternoon provide opportunity to experience the facilities of the Dead Sea Spa at Ein Gedi (including Dead Sea mud, the Dead Sea, mineral & fresh water pools). 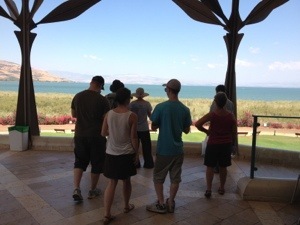 Later in the afternoon we return to Jericho, stopping en route to visit the archaeological excavations at Qumran, the 1st century desert centre for the Essene Community, where the Dead Sea scrolls were written. 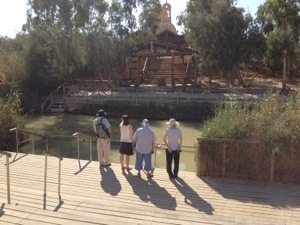 Today we travel north along the Jordan Valley to Nazareth to visit Mary’s Well, the Basilica of the Annunciation and Nazareth village before making our way to Kibbutz Ma Agan, situated on the south eastern shore of the Sea of Galilee. 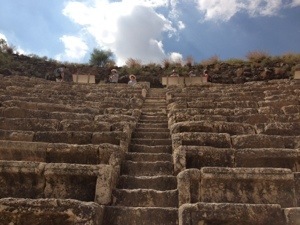 Today is spent beside the Sea of Galilee, and includes visits to Kursi, Bethsaida, Capernaum, Mensa Christi, Tabgha and the Mount of Beatitudes, and a boat ride. This morning we head west to the Mediterranean coast, for a morning visit to Caeserea Maritima. 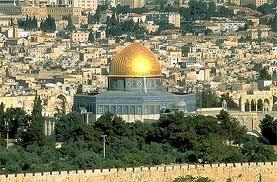 In the afternoon we make our way up to the Holy City of Jerusalem. Today begins with visits to the Church of the Pater Noster and Dominus Flevit on the Mount of Olives, and the Garden of Gethsemane. Later we cross the Kidron Valley to enter the Old City of Jerusalem and walk the Via Dolorosa (the Way of Sorrows) to the Church of the Holy Sepulchre. Other visits inside the Old City include The Church of St Anne, the pools of Bethesda, St James’ Armenian Cathedral and the Western Wall. This morning begins with a visit to Harem-esh-Sharif (Noble Sanctuary) to view the Al Aqsa Mosque and the golden Dome of the Rock. 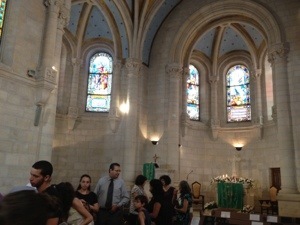 Later we visit Bethany, the home village of Mary, Martha and Lazarus. Ain the afternoon we visit the memorial to the Holocaust (Yad Vashem) and an extensive model of 1st century Jerusalem at the Israel Museum. In the afternoon, we will visit Hebron with a member of the Israel Committee Against House Demolitions to visit the Tombs of the Patriarchs and meet with the Christian Peacemaker Team. This morning we will visit one of the 4 traditional sites of Emmaus where we will celebrate Communion to end our visit, before transferring to Ben Gurion Airport, Tel Aviv.